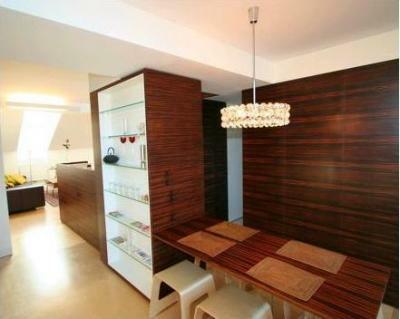 Modern designed Apartment for up to 7 people with a huge terrace close to the city center offers all you need for a comfortable stay in Vienna! Close to public transport, you reach the inner city within 15 minutes. The apartment is on the top floor of a tradional house with lift and a garden. It is next to Schoenbrunn Castle with its beautiful parks so take a jog or a relaxing walk after your sightseeing.